In a previous post I described the certification release of Ubuntu pre-install for the Dell Latitude 2120. This post seems to have drawn some interest on the process from both internally in Canonical and externally. I decided that I needed to experience myself what a user buying a Certified “Pre-Installed only” system would go through from buying the system to getting the bespoke image from the manufacturer and ultimately upgrading to the latest “stock” Ubuntu release. The Dell Latitude 2120 seemed like a good companion for this adventure. Without further ado, I introduce you my “Ubuntu Adventure” – the objective is to arrive to UDS-O in Budapest with a Latitude 2120 with dual booting a DELL specific Ubuntu 10.10 image and the (soon to be) publicly available 11.04 Final Release. I will keep you posted of my progress with frequents updates on my blog. Lets get started! Chapter1 – Buying the system… but which one!? 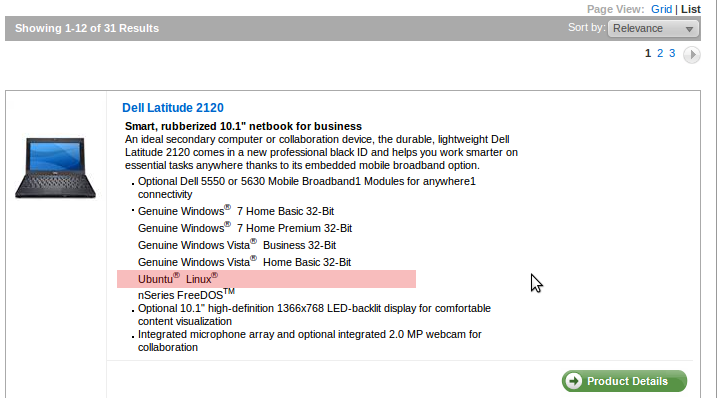 The first thing that I did was to visit the DELL UK website and selected the Latitude 2120. At this point I got presented with 2 options. 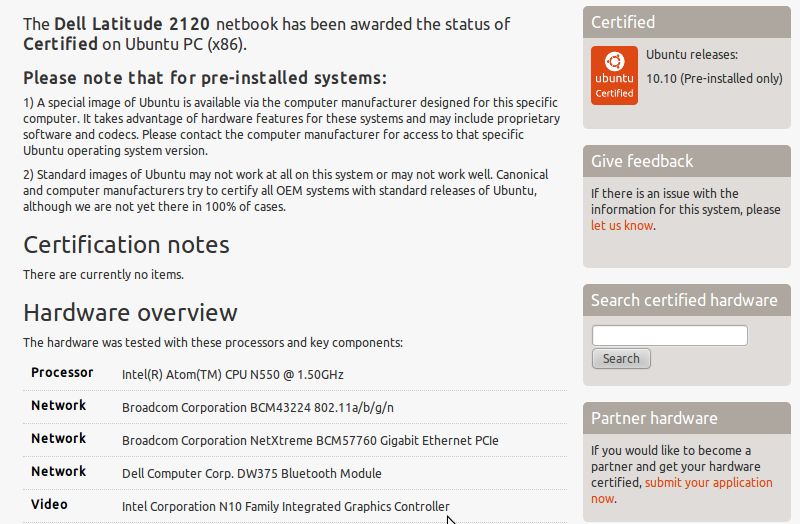 It is important that you check the components listed in the certification at Ubuntu.com. Manufacturers some time change components depending on local or as a refresher/upgrade of the systems. This new component can be not supported by Ubuntu. The key components are listed in the front page of the certificate: Processor, Network and video – but you can drill down and see a more exhaustive list. However, once that I select the system I want to buy, I am only presented with two flavours of Windows 7 as pre-install options… Not to worry, DELL provides a page full of updates and ISOs for Ubuntu 10.10 specific for this system. Which will lead to more longer yet more interesting Ubuntu Adventure! Ok, I have ordered the system! now to wait patiently for delivery..